re vert - wakeboard "I am a cable guy" Re vert has been made with single goal - to push the boundaries. In two directions. If you are starting with tougher tricks, it is going to "even out" most of those little mistakes. After the first landing, you will clearly notice how re vert smoothly leads you to the obstacle and backs you up during a non-great landing. It is predictable and incredibly playful at the same time. It really proves itself when being pushed to the limits though. No fins, polyurethane side walls and diamond park base. Re vert is suited for tough conditions. Precisely balanced flex absorbs the impact of big kickers. On rails and boxes, the limits cease to exist. 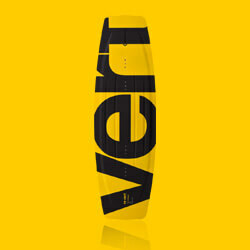 Re vert is a purebred wake park master tiled up to the last detail. "I am a cable guy"
Re vert has been made with single goal - to push the boundaries. In two directions. If you are starting with tougher tricks, it is going to "even out" most of those little mistakes. After the first landing, you will clearly notice how re vert smoothly leads you to the obstacle and backs you up during a non-great landing. It is predictable and incredibly playful at the same time. It really proves itself when being pushed to the limits though. No fins, polyurethane side walls and diamond park base. Re vert is suited for tough conditions. Precisely balanced flex absorbs the impact of big kickers. On rails and boxes, the limits cease to exist. Re vert is a purebred wake park master tiled up to the last detail. 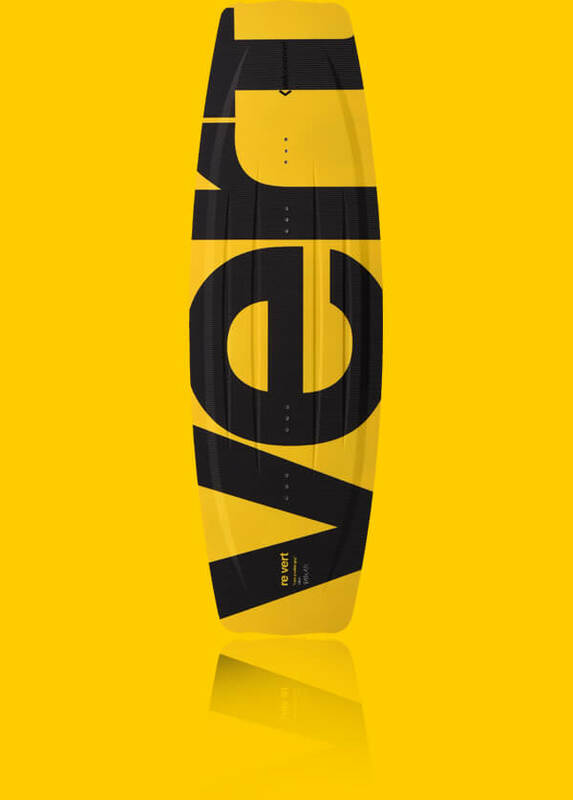 Highly resistant foil coating, diamond park base, polyurethane side walls, finless 3D profiling – these are some of the many benefits of the re vert wakeboard. Quattro channels bottom with keel-shaped sides ensures an amazing massive grip. Together with its outline, it promises soft landings and a perfect grip without fins. Polyurethane side walls represent innovation in the forming of edges – being several degrees harder compared to the more common ABS. Polyurethane material is also much less susceptible to delamination. To withstand tougher handling, the base has to be strong enough to last multiple seasons in a perfect condition. For this reason, we use our diamond park base - the most durable material that lasts longer than you will be ever be able to handle. The continuous rocker keeps the board fast on the water resulting in smooth landings making it easy on your knees, making you pop off the wake much quicker. Re vert comes in three sizes, is suitable for beginners as well as pros suitable for all weight categories of wakeboarders.